For many teams, 2014 Easterns is the final stop of the regular season, and the final chance to lock up — or steal — a strength bid. The tournament’s top teams will use this as a chance for a final tune up before the Series, one last look at top competition until late at Regionals. The bubble teams will be fighting tooth and nail for a chance at extra bids. The few remaining will hope to get the requisite experience to be a dangerous draw at Regionals. Here’s a look at the pools and premier matchups this weekend. Believe it or not, this is a pool of question marks. That is even with the knowledge that Pool A contains the surest thing that we’ve got in this tournament in UNC. Those questions come in the form of Carleton, UMass, and Michigan. Each of these three teams have only played in one full tournament this season. Michigan went to Queen City Tune Up and won games against mid-tier Regional competition and UNC-Wilmington, but dropped a game to Harvard. Massachusetts won Easterns Qualifier, taking down home-team UNC-Wilmington 15-8 in impressive fashion to earn its bid to this tournament. Then Massachusetts went undefeated at a shortened Terminus with a notable 15-9 win over Georgia Tech. Carleton went to Florida Warm Up and did what Carleton does: wins some, loses some. So, what are our questions? Can Michigan consistently hang with Nationals caliber competition or was their 15-10 loss to Harvard more indicative of where this team will finish? UMass has only really played one team with real, recent Nationals history, so consistency will definitely be a question. On the other hand, when they played that team, UNC-W, they won by a wide margin; how high is their ceiling? Lastly, we need not spend a lot of word on the interim events for Carleton since CUT last took the field. As tough a question as it may be to ask, where will this team sit competitively as it works to recover both on and off of the field? Pool B is a bit more straightforward than any other pool at the tournament. Teams within have shown that they are either dependable or not and, therefore, at what level they can be expected to play. Florida has truly returned to form to start this season after a few years that, for the Gators, would be considered down years. UF showed that it is competent enough with its gameplan, and that Bobby Ley is dangerous enough to compete on the big stage when it marched to finals against Texas at Florida Warm Up. The Gators are the team to beat in Pool B.
Stanford comes into this tournament as the only representative from a Southwest region that is parched for Nationals bids. There have already been a few tweets of support from other Southwest teams and, no doubt, Stanford will be playing to win this weekend. Stanford cannot afford to drop many games and certainly not by large margins this weekend. While teams that are confident about their ability to win a bid or confident in their region’s number of bids may still be working on depth leading up to the series, every win and loss could be Nationals life or death for Stanford. Lastly, Whitman comes in as a relatively unknown commodity, not having played since Pres Day where they lost to Arizona by six and British Columbia by five. With those results as the only ones on which to base anything, the Sweets will have a tough time competing in a pool of teams with history and proven talent this season. The parity within pools begins to increase with Pool C. Every team in Pool C qualified for Nationals last season. While UCF and Georgia will be scratching and clawing to maintain the Southeast’s three bids, Harvard will be pushing to show that it is an elite contender this season and UNC-W will try to cement itself as the number two team in the Atlantic Coast. This pool presents a very interesting opportunity for two teams to gain ground in the USA Ultimate standings. The Easterns tournament directors have worked hard to avoid any intra-regional games but one remains: Georgia vs. UCF. One does have to wonder whether or not UCF coach Andrew Roca and Georgia coach Ben Gray will be resting starters in a game that won’t mean as much as the out of region battles. Outside of the UCF/UGA matchup, this is pool with four teams that have shown they have the ability to play at elite levels but also, Harvard excepted, a penchant for losing games to teams they “shouldn’t” be losing to. UGA hasn’t earned any signature wins this season and had rough losses at a windy Stanford Invite, though they did challenge Oregon in a 13-12 loss. UCF has dropped games to Las Positas and UC-San Diego but has wins over Pittsburgh (twice), Carleton, Tufts, Texas, and Harvard. UNC-W took Florida State to a double-game point finish at the Tally Classic but also lost in a blowout in the finals of Easterns Qualifier to UMass. Harvard went to finals of Queen City Tune Up, defeating Michigan on the way, and beat UC-Davis, Oregon and Cal but lost to Texas, UCF and Las Positas. Needless to say, if any pool is an absolute toss up tomorrow, it’s Pool C.
Florida State continues to outperform expectations this season and has landed themselves among the top five teams in the country. A semifinals appearance at the Stanford Invite — a game where they narrowly lost to #1 ranked North Carolina — highlighted what has already been a strong year. Just behind them, though, is the back-to-back college champion Pittsburgh. Pitt has one of the wins of the year over North Carolina, but also has something to prove against FSU after falling to them at Warm Up. They slipped down the rankings before surging back to #5 after a superb Stanford Invite. Luther is a true wildcard in this tournament. After a shocking quarterfinals finish at the College Championships last season, Luther has been mostly inactive this season. So far, LUFDA has only turned in one tournament finish: a perfect one at Huck Finn just two weeks ago. It’s well known that Luther returns all of its roster from a powerful team last season. The question that we will find an answer to this weekend is: Have they done enough with that talent to improve on last season’s finish? Illinois has only played one tournament, Catfight, and it didn’t face much competition there, its two closest wins coming over Eastern Michigan, 11-9, and Georgia State, 13-10. Illinois is hanging tough in the Ultiworld Top 25 after a strong performance at Missouri Loves Company in the fall, but will have plenty to prove this weekend and has a big task in front of it to prove anything against an already tough schedule. 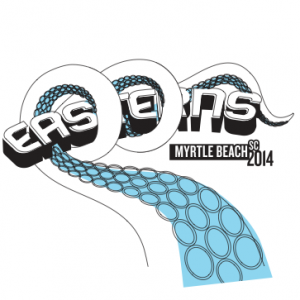 Comments on "2014 Easterns: D-I Tournament Preview"